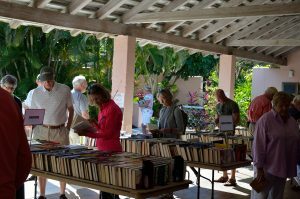 The spring Book Sale at the Johann Fust Community Library is presented by the JF Library Foundation. There will be hundreds of almost new and used hardback and trade paperback books, DVDs, CDs and even some rare books. It’s always a popular event, with many treasures to be found!